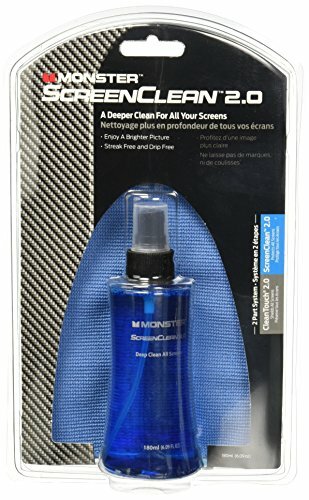 Squirt and wipe ScreenClean 2.0 on your laptop, displays, or any virtually screen, and wipe out germs, dirt, and oily fingerprints for a deeply clean TV screen that you can see your reflection in. Comes with a cleaning cloth. If you have any questions about this product by Monster, contact us by completing and submitting the form below. If you are looking for a specif part number, please include it with your message.